Valley had two very opposing yet striking looks this year: an elegant and feminine jazz costume and edgy and fierce high kick unitard. 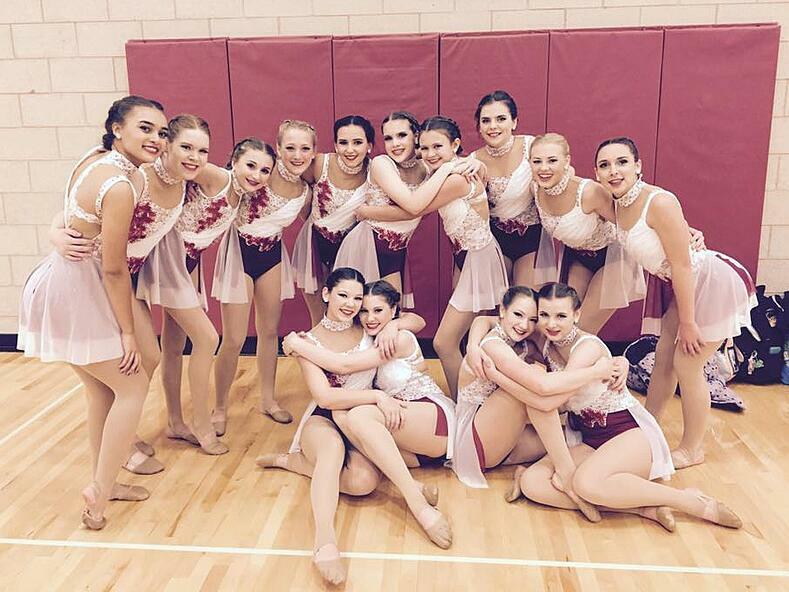 "Our jazz costumes we customized and got inspiration from the U of M dance team and also wedding dresses," said Coach Megan Gilbertson. "We absolutely love our outfits this year, they are so elegant. Very different then what we have done before. " 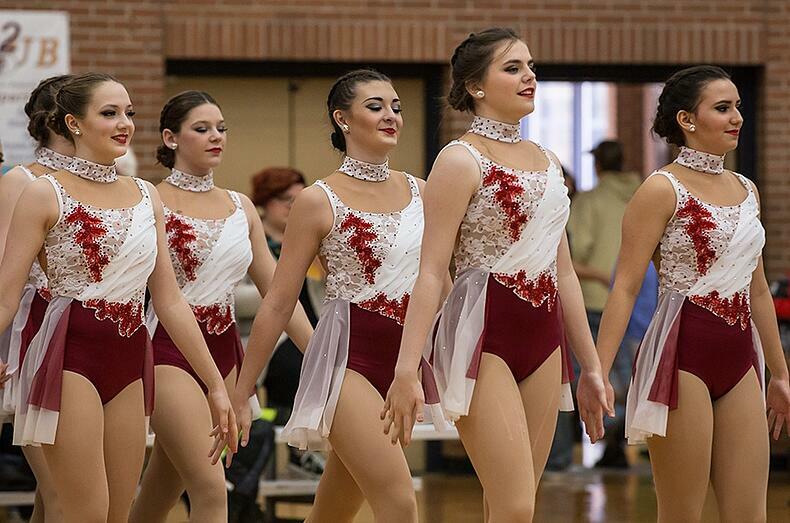 A bold red applique against white lace helped convey the elegance the team wanted for their jazz look. For a little extra spark, the multi-colored skirt was designed specifically to compliment their choreography. 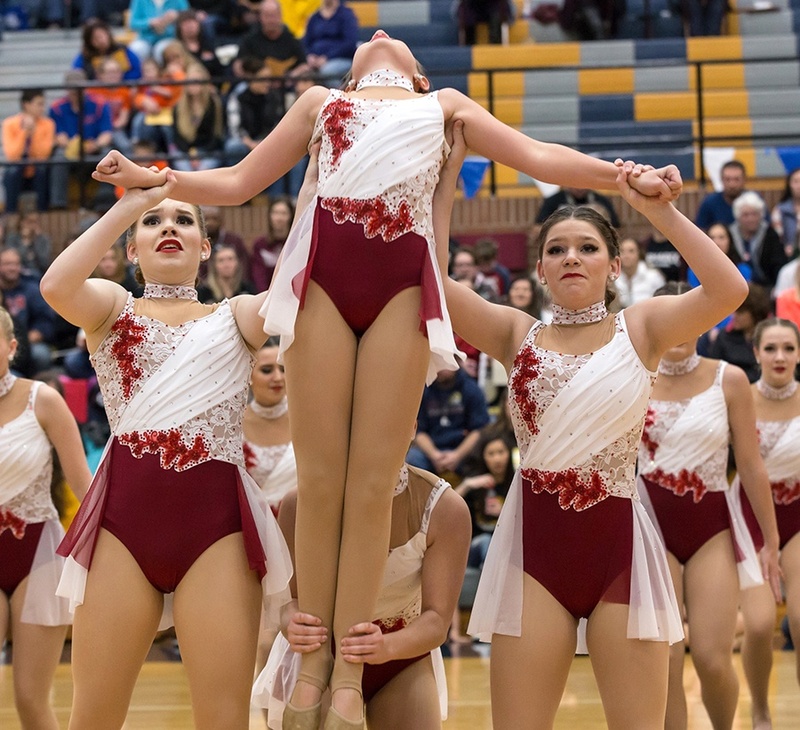 It was important for the team to have the burgundy underskirt pop during turns, so two slits were added to the white top skirt to make this happen! Such a bold color combination! The team chose the Wednesday for their Kick routine - an edgy look with textured blocking in the front, and a wide open back. 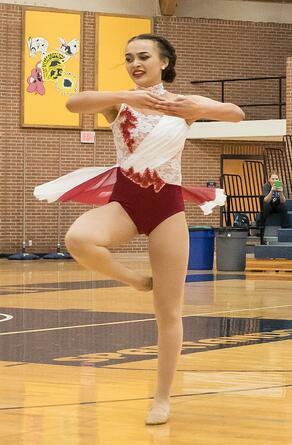 A perfect compliment to the precision of a High Kick routine! Last weekend the team competed at UDA's Spirit of America Competition at the Mall of America, where they placed 3rd in Hop Hop, 6th in Jazz, and 8th in Kick!! Congrats, Hi-Lites! Check out more Q & A with Coach Megan below!! Our school is small which means we take 7th-12th graders on our varsity team. We have 1 senior, the rest of the dancers are 10th grade and younger. 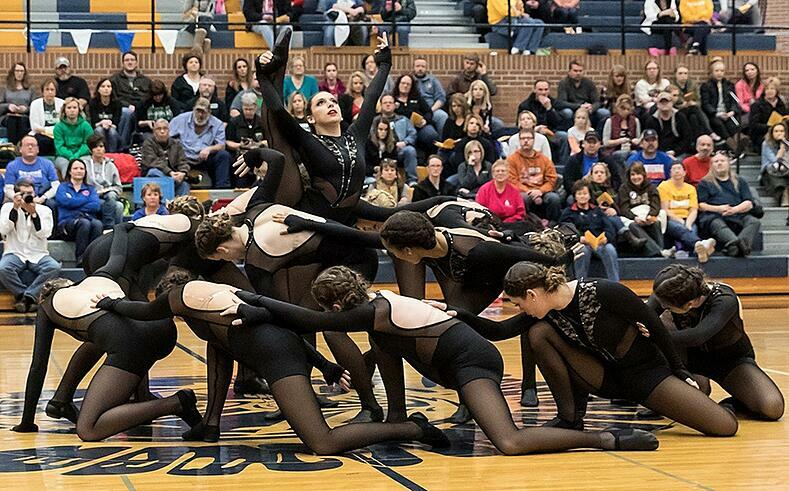 We compete in 4 categories- Hip Hop, Kick, Jazz, and Pom. 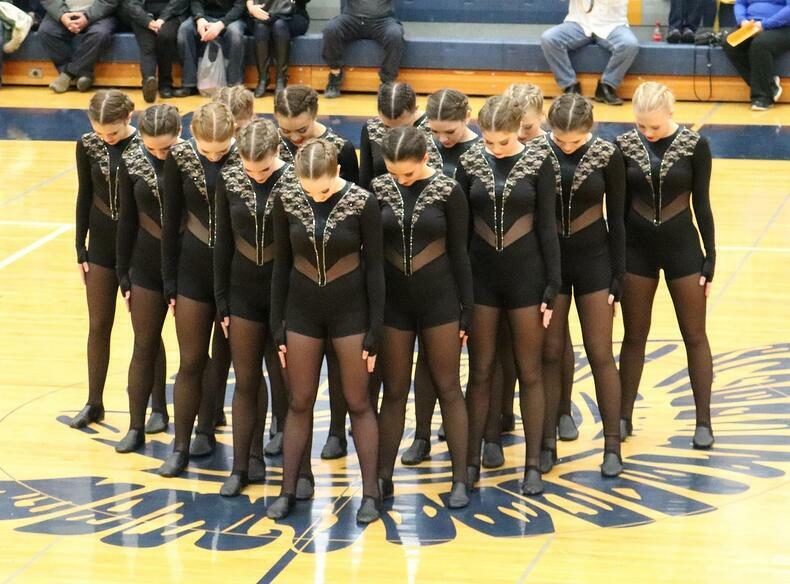 Our team loves hip hop, we have to say our favorite memory was being State Hip Hop Champs 2015. That moment was something we will never forget. We are excited to make new memories with each other and push each other everyday to be better then we were yesterday.